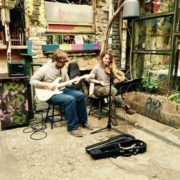 The Hungarian present tense is easier than you may think. In this mini lesson you will learn the grammar rules and the concepts in about 30 minutes. We break it down for you and show you everything you need (including many examples and memory hooks) for a quick learning experience. Hungarian has only one present tense. There is no differentiation between simple and a continuous present as in other languages such as English, Spanish or Italian). 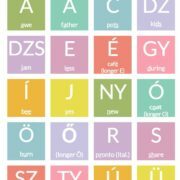 Most of the Hungarian verbs are regular. 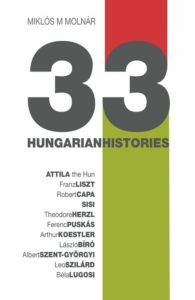 There are no more than 23 irregular verbs in Hungarian. You can find a list of them for example on the page of this useful Hungarian verb conjugator. While admittedly some of the most important verbs such as “van” (lenni, ‘to be’); “megy” (menni, ‘to go’); “jön” (jönni, ‘to come’); “eszik” (enni, ‘to eat’), are irregular. But the good thing is, that as soon as you understand the rules for the regular verbs (which we’ll explain and break down for you in this article), also the irregular verbs are easier to remember, because most of the time only some small differences are to be memorized. The Hungarian present tense can be used for future actions as well. 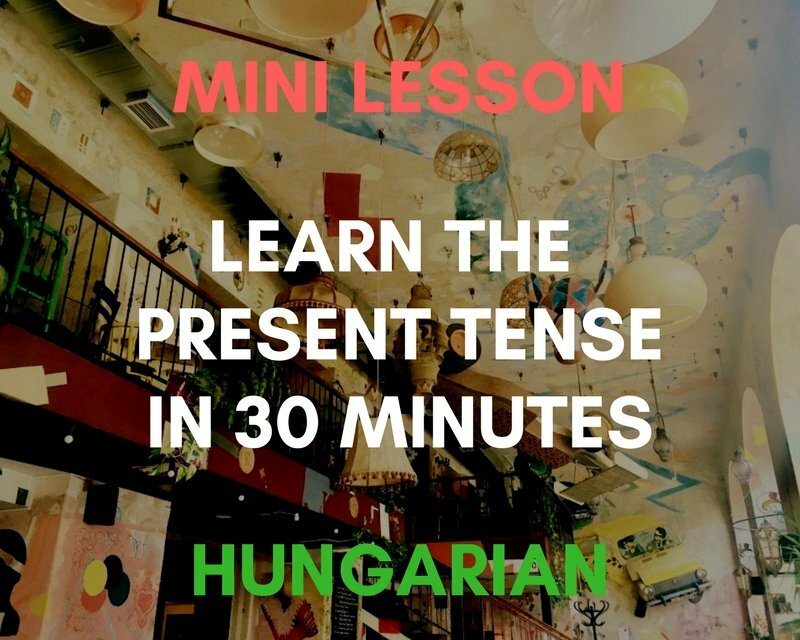 By mastering the Hungarian present tense you’ll kill two birds with one stone! 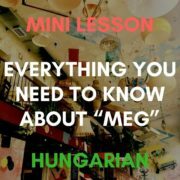 The only thing you need to know/learn beforehand for this lesson is the Hungarian Alphabet and the Hungarian vowel harmony. And of course you should know what a conjugation is (since thats what this article is about). Broadly speaking, verb conjugation is the changing of a verb’s form to express a different person (I, you(sing. ), he / she / it, we, you(pl. ), they) and its tense. In that way, a conjugated verb can tell us who is doing the action and when. “I”, “you”, “we”, “you” and “they” all “GO”; only “he”, “she” and “it” “GOES”. E.g. 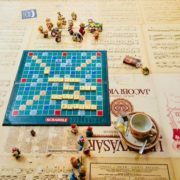 “Èn megyek.” (I go) vs. “Te mész” (You go. ), etc. In this lesson, we will show you what you have to look out for and how to remember the rules best. But that’s enough of introduction; let’s dive straight in and start your stopwatch! When you talk about an unspecific/unknown/indefinite thing or person, you conjugate the verb with the indefinite suffixes (word endings). When you talk about a specific/definite thing or person, you conjugate the verb with the definite suffixes (word endings). The use of the definite article “a(z)” (“the”) and/or the pronouns “az” and “ez” (this and that) are good indicators to use the definite conjugation. In reality it is a bit more complicated than that (dry and boring grammer books are good proof), but in most of the cases this is enough. And even if you confuse the conjugation forms, everyone will still understand you. Even Hungarians themselves confuse the two forms sometimes, so there’s really no need to worry. The regular verbs with back vowels are the biggest chunk. All other verb groups can be deviated from these. 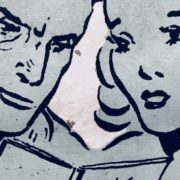 Don’t worry, as we will also help you to memorize the endings with some smart memory hooks, so you will master them in no time (ok, let’s say 6 minutes… ). The following table shows the indefinite conjugation of the verb “tudni”, representing the the back vowel verbs. Te : “-sz“ –> pronounced like the s in Second Person Singular. Ő / Ön: – –> no suffix; this one is our absolute favourite! Mi: “-unk“. If you turn around the first ark of the m (in “mi”) you get an “un“, which you simply have to combine with the omnipresent “k“. Ők / Önök: “-nak“. Just imagine that they are all naked. Én -> téged, titeket: “-lak“ –> replace the “n“ in “nak” with an “l” (think of the “L” in “Love you”). Note that “téged” and “titeket” means “you” (in singular and plural). “-lak“ is a Hungarian specialty/feature and expresses the relationship between I and you (singular or plural), e.g. “I see you.” can be translated to “lát-lak“. Done! That wasn’t so bad, was it? *ül has no conjugation for Én -> téged, titeket (since “I sit you” doesn’t make sense). the o is always a bit indecisive and in love with the a, therefore it is transformed into e and ö . Keep in mind that you only have to memorize the endings for the back vowels; the front vowels (incl. ö, ő, ü, ű) follow the simple “vowel rule”. By now, the biggest chunk is through, the rest is a walk in the park. Verbs ending with two consonants (e.g. “mond“) or “-ít” (e.g. segít) get an additional vowel in some conjugations in order to simplify the pronunciation. Also the infinitive form gets an additional vowel, e.g. mond(ani) and küld(eni). Sounds complicated, but it’s really not that big of a deal. the suffix (ending) is added to the verb-stem, and not after the -ik. e.g. it’s “lak-ok”, and not “lakik-ok”. –om / –em / –öm –> just replace the “k” with an “m” and get the new suffix, which at the same time corresponds to the definite conjugation form (you will see in chapter 3.1). Only “Te” is affected here. Why “-ol“? most probably because it’s partly cool! Nothing new here; it’s only a combination of the -ik verbs (see 2.4) and with –s, -sz, -z (see 2.5). The irregular verbs are actually not part of this mini lesson, since they don’t follow all of the above rules. But as you will see, as soon as you know the rules, also the irregular verbs are much easier, because actually they don’t break every rule. A list of all 23 irregular verbs can be found on the page of this useful Hungarian verb conjugator. Èn: –om, –em, –öm. Just replaced the “k” (from the indefinite suffixes -ok /-ek /-ök) with an “m“. From now on Hungarian will unfold its full beauty (by refusing most of the rules we learned so far). Get ready to use many “i”-s and “j”-s! Ő /Ön is formed with –ja / –i /-i . Even after contemplation we didn’t find a systematic reason why the hell the Hungarian grammar fairy had to switch to –ja / –i /-i. At least it is easy to remember and will be used not just for Ő / Ön. Ti: and here we meet our newly found love “-ja / –i /-i” again, in combination with the indefinite “-tok -/tek /-tök”. –> “-jatok / –itek / –itek”. Why not “itök”? Don’t blame us, blame the Hungarian grammar fairy! Ők / Önök: We are so happy that we can close this with an easy one: Since “Ők” is the plural of “Ő” it makes sense to add a “k” to the Ő-suffixes, so we get “-jak / –ik / –ik“. In order to harmonise the pronunciation every -sj, szj and zj is transformed in -ss, -ssz and -zz. e.g. instead of “Ő olvasja” it is “olvassa”,; instead of “Mi hiszjük” it’s “hisszük”. Good news: with these 2 groups above all the definite conjugation forms are basically covered! All other verb forms (ik-verbs and irregular verbs) are almost never used with or don’t even have a definite conjugation! Applying these rules above you will be able to master the Hungarian Present Tense. Are we completely crazy to claim this can be learned/understood in approx 30 minutes? Please let us know! Of course we are aware that it will take more time and practice than a mere 30 minutes to apply these rules fluently in a normal conversation. Still, never let some grammar errors stop you from communicating, it absolutely doesn’t matter if you confuse one or the other conjugation. Trust us, even Hungarians confuse them sometimes! And never forget the most important rule in language learning: HAVE FUN! I had a tough time getting a system down for theses grinding through duolingo because they don’t explain the definite vs indefinite conjugations on their app so this helps a lot! Keep up the learning and enjoy!